Not the most glamorous of things to write about, but hair removal is big business. I for one spend a lot of time preening and drawing in my disastrous eyebrows, spending a fair bit of cash on salon treatments to keep them looking tip-top (or as tip-top as I can manage.) It can be a bit of a hassle to get down to the salon regularly though, so I do need something in between treatments to keep me going. These new Nair facial wax strips include an invigorating clay formula that’s rich in minerals to help create beautifully smooth and glowing skin. I haven’t ever had the best experience of at-home wax treatments, mostly ripping off skin and the wrong part of my eyebrows, so this was definitely a task and a half for me to get right. The system is simple, no faffing, and takes only a few minutes. 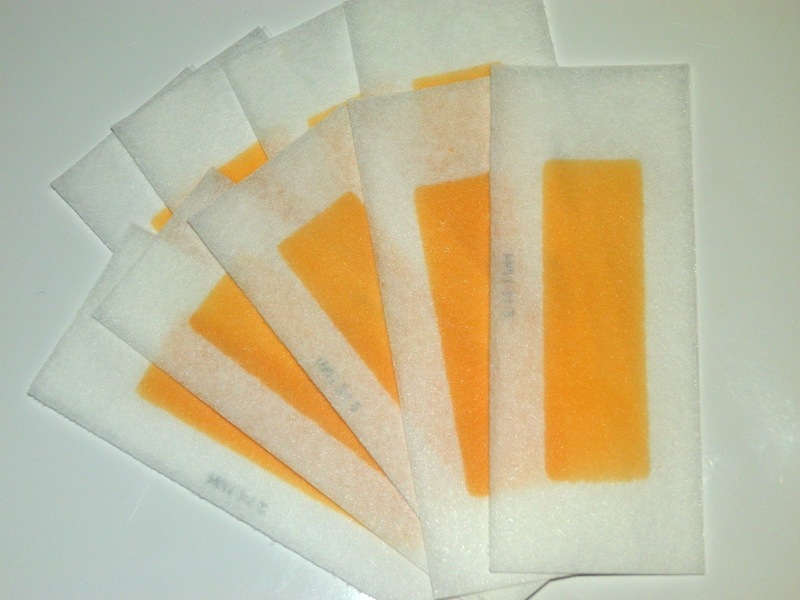 The pack includes 20 individual wax strips which you heat between your fingers and apply to the area you want. They can be used all over the face, but I stuck to the eyebrow area, carefully applying the strip above and below against the growth of hair. It’s a bit tricky to make sure you place the wax in the right area because of the shape of the wax, so you may need to do a little cutting to ensure you don’t pull off half your eyebrow! 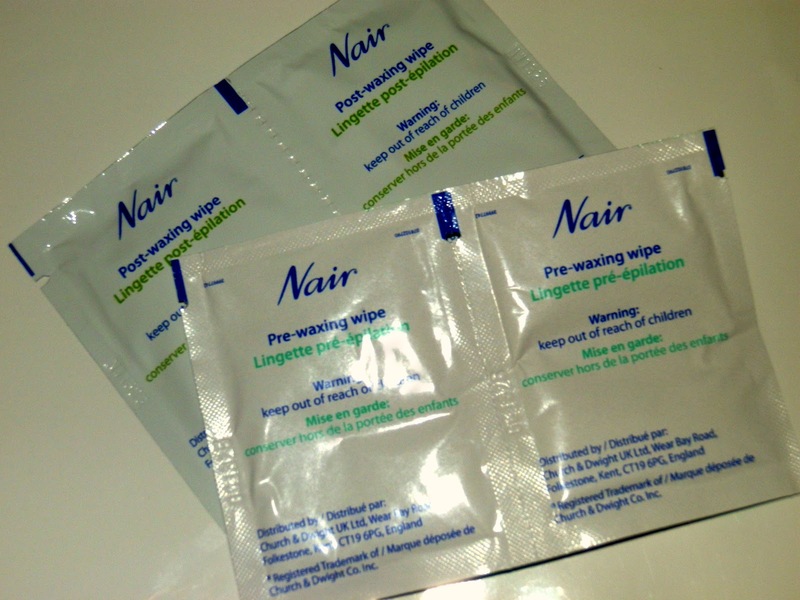 The pack includes a little sachet to clean the area before applying the strip and a little wipe to clean and cool the area after; the major downfall though is that you get 20 strips of wax and only 4 wipes to use – you’ll be left with masses of strips left but no wipes to ensure you’re removing hair from a clean and cool area. The wax itself worked surprisingly well, removing all hair (even the iddy biddy small ones) and leaving a clean piece of skin with no irritation. The wax came off smoothly and relatively painlessly, with no need to heat the strips up or add extra faffing to the process. I was extremely pleasantly surprised by the results and will definitely be using these again, providing a great temporary fix for when I can’t get to the salon. I’m not too sure about progressing to leg waxing though… I’m not that brave just yet. 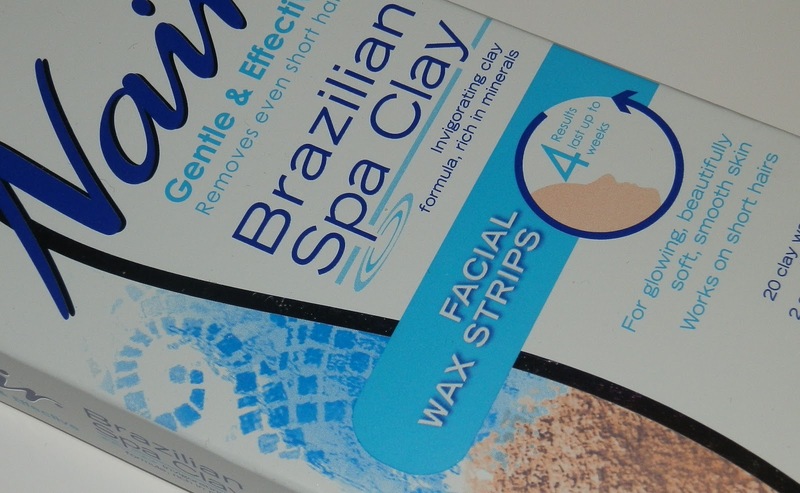 Available from Boots priced £4.99 for a pack of 20 strips. These sound great. I bought the Veet facial wax kit which you warm and apply from a lip gloss type tube but whether my brows were too strong or something I don't know, but it didn't do a very good job of pulling the hair out? Was thinking of going to a brow bar but they are always in the middle on busy shopping centres….who wants that? !